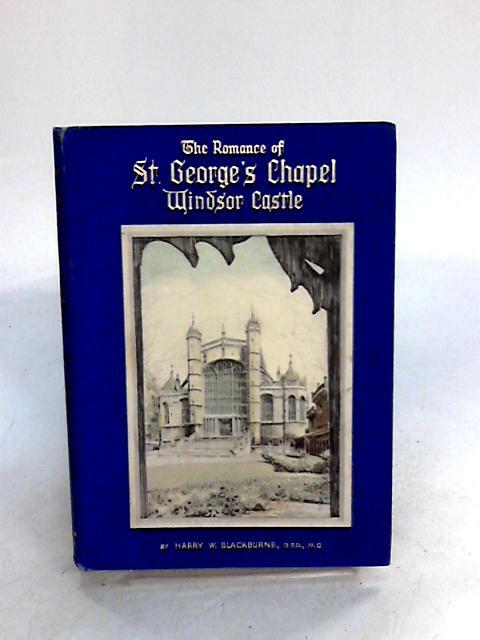 The Romance Of St George"s Chapel Windsor Castle by Blackburne, Harry W.
1936. 80 pages. No dust jacket. Purple pictorial boards. Binding is firm. Light tanning and thumb marking throughout. Heavy foxing, mainly affecting the endpapers and page edges. Light page scuffing with some dog-eared corners. Colourful frontispiece and illustrations. Pencil marking to endpapers. Boards have mild shelf wear with light rubbing and corner bumping. Some light marking and sunning.